There are currently 9 people viewing this product. The 1.78m Standard Slide is only available in green. 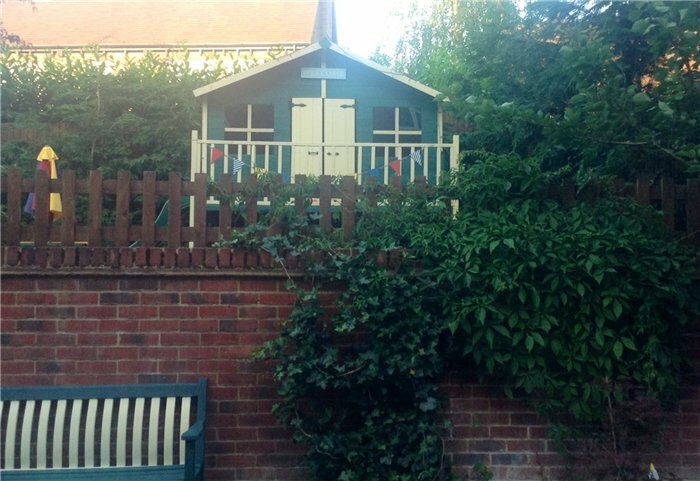 When added to the tower, the overall building width becomes 12’2 / 3.715m for the 7x14 playhouse and 10’3 / 3.129m for the 7x12 playhouse. The 2m Medium Premium Slide is available in red, blue, green and yellow. When added to the tower, the overall building width becomes 14’3 / 4.350m for the 7x14 building and 12’4 / 3.764m for the 7x12 building. 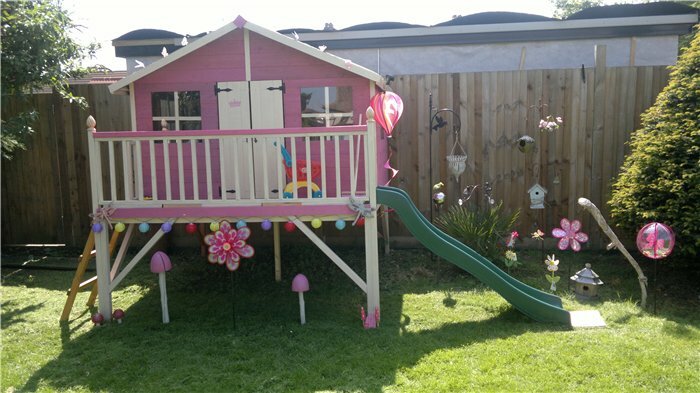 The Lollipop Tower Playhouse makes a wonderful addition to any garden and provides a fantastic playhouse for children to relax and play in. 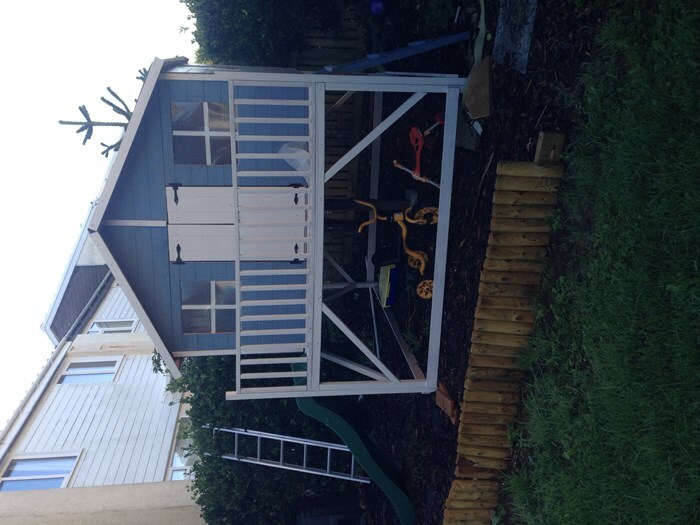 This playhouse has whole host of fantastic features which make it perfect for large or growing families. Optional extras such as the slide further enhance it’s appeal. It is guaranteed to be enjoyed by your children for many years to come! 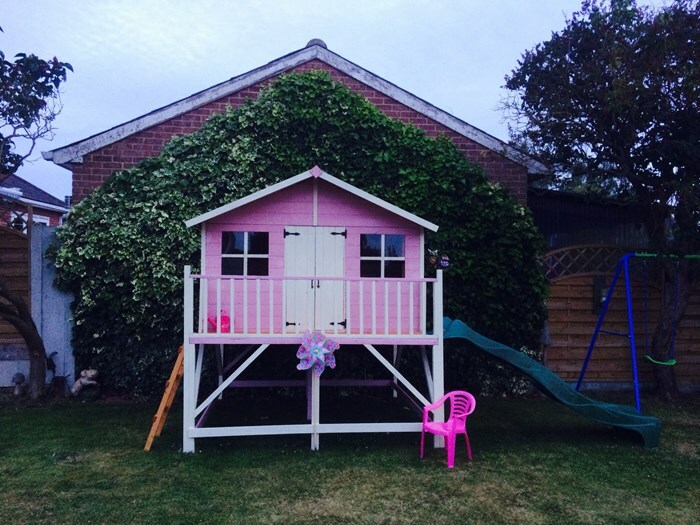 The Lollipop Tower Playhouse will feel like its own island in the garden, raised up off the ground, this playhouse captures the full imagination of children. 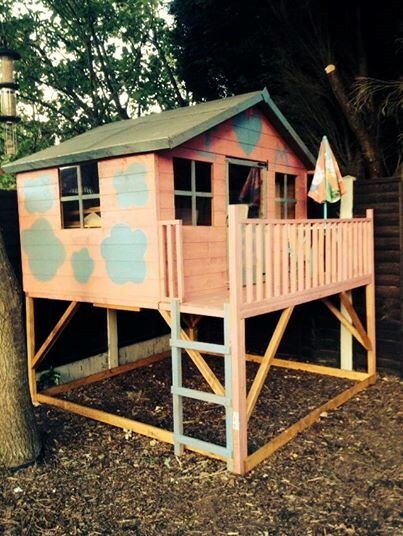 Allow your playhouse to become a treasure island, space station or a superhero hideout! 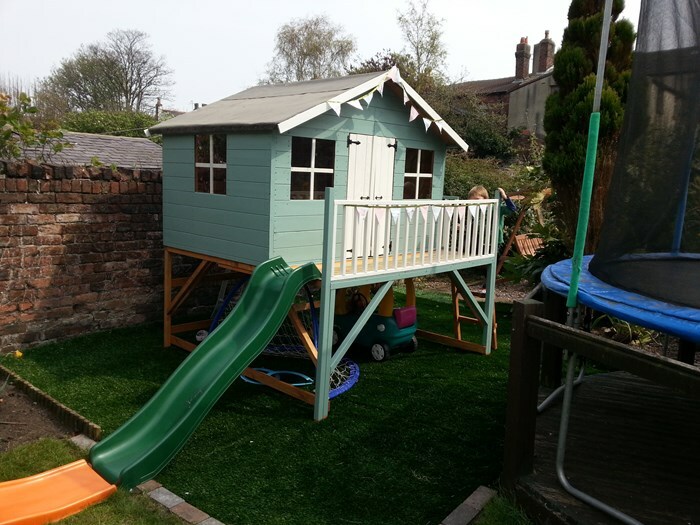 Whatever they choose their playhouse to be, it is suitable for both boys and girls and we guarantee your children will love spending time outdoors! Up the Ladder, Down the Slide! 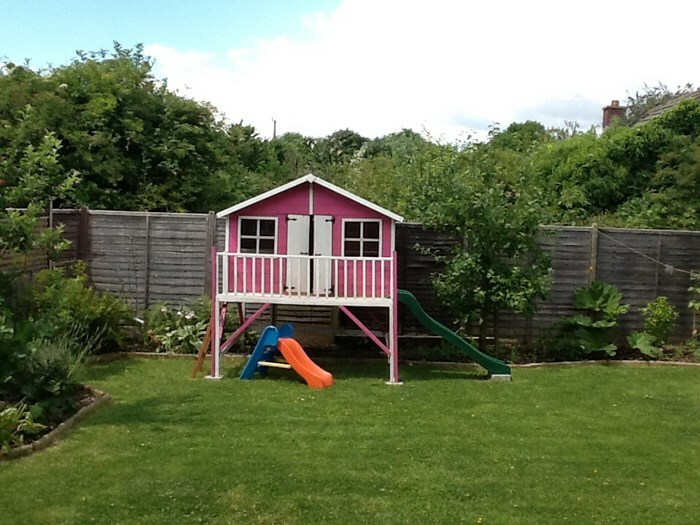 A fantastic feature of this playhouse is the optional slide which will maximise the fun experience of the Lollipop Tower. Climb up the ladder and go down the slide! 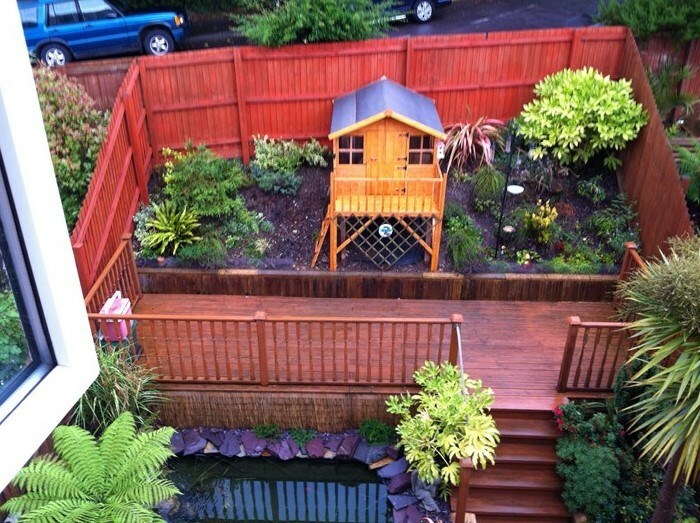 This exciting addition creates a wow-factor for your garden and keep your kids entertained for hours at a time. You can choose your preferred slide size, as well the slide colour, which makes the Lollipop Tower so unique and special. In order to keep your playhouse a light and airy space for children to play in, the Lollipop Tower playhouse features four fixed windows. This gives ample amounts of light to stream through and make the playhouse feel inviting. 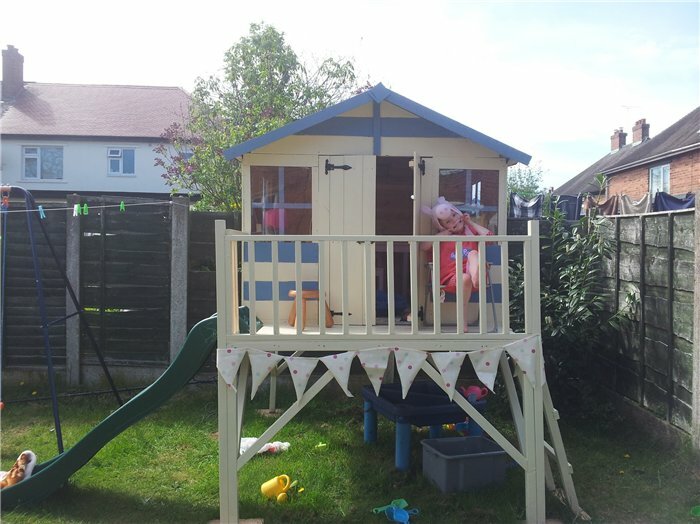 As well as this, the tower will come with a stable door and if you opt for the playhouse with a slide, it will come with a fun stable door.The windows are all glazed with styrene material which makes them durable and easy to clean! 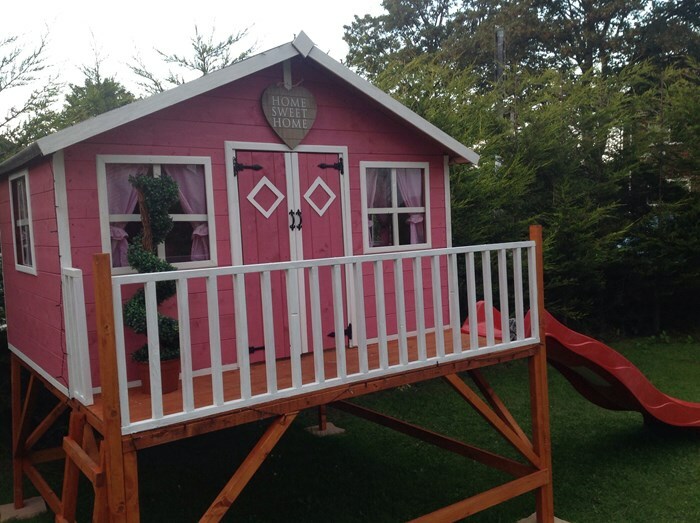 The Lollipop Tower Playhouse is constructed using a widely popular tongue and groove construction. 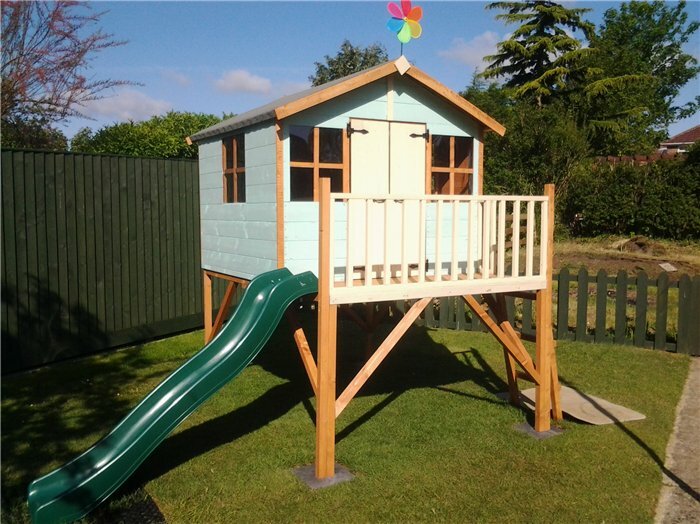 The panels have been pre-engineered to interlock together, which gives the playhouse it’s great strength, as well as providing a rustic, all-round smooth finish. 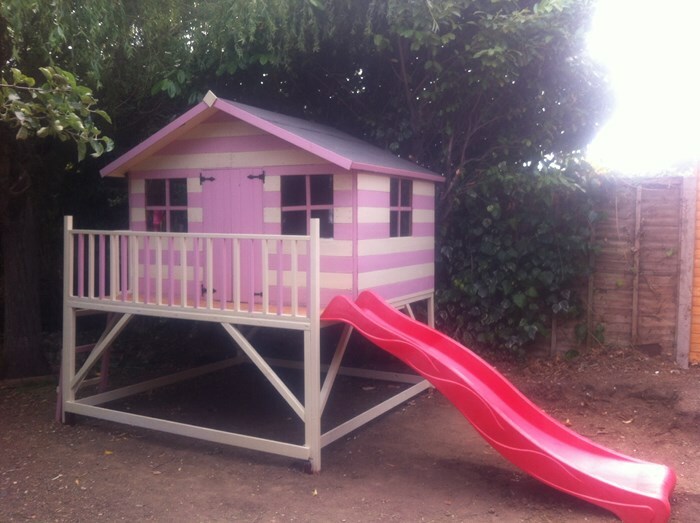 We also supply a solid sheet floor as part of our Lollipop Tower Playhouse package. The floor comes pre-cut to size so all you need to do is build your way upwards. Width 186cm 6'1" 376.4cm 12'4"
Depth 211cm 6'11" 211cm 6'11"
Eaves Height (Inc Floor) 196.4cm 6'5" 196.4cm 6'5"
Ridge Height (Inc Floor) 231.5cm 7'7" 231.5cm 7'7"